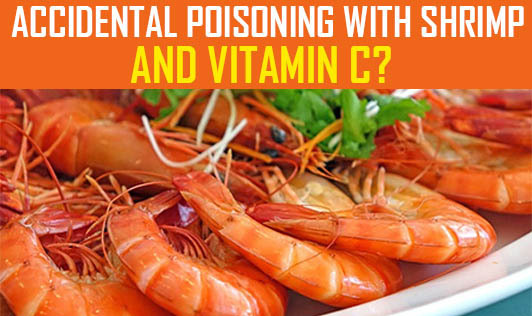 Accidental Poisoning With Shrimp And Vitamin C? Yesterday, I received an email from a friend asking if this was true. IT'S NOT. I also learnt that this email myth has been doing the rounds for some time now and many people have believed it! The content of the email talks about a Taiwanese woman who ate shrimp and also had taken vitamin C supplement. Apparently, the two reacted together in her body to produce arsenic and she died of accidental poisoning! I must say that whoever created this story has done a good job of scaring some people. Please do not believe such hoax emails and also do not forward them to your friends, family and colleagues without checking with a health expert.